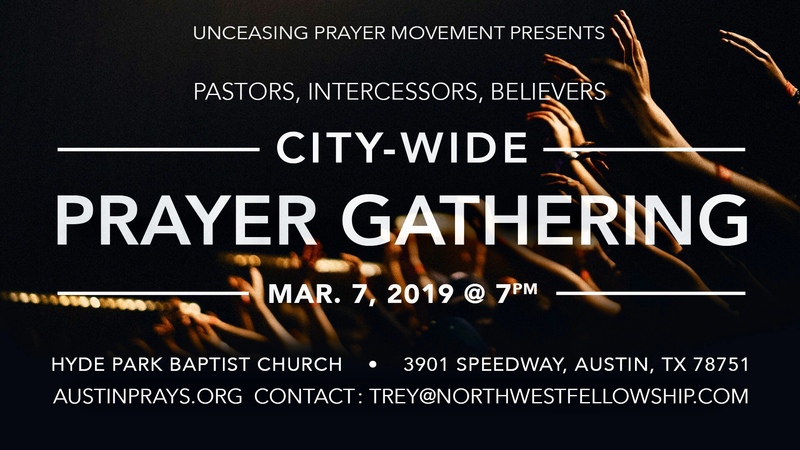 To see the Austin area covered in unceasing prayer (1 Thes. 5:17) by 31+ churches until Jesus returns! 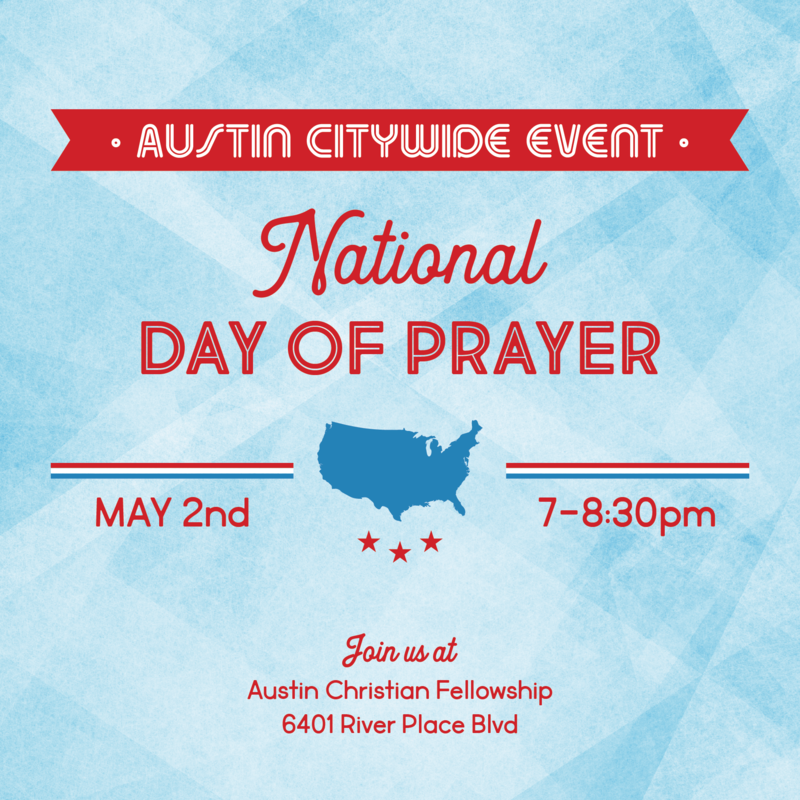 A unified church with one heart, one mind and one prayer to see God transform our city! 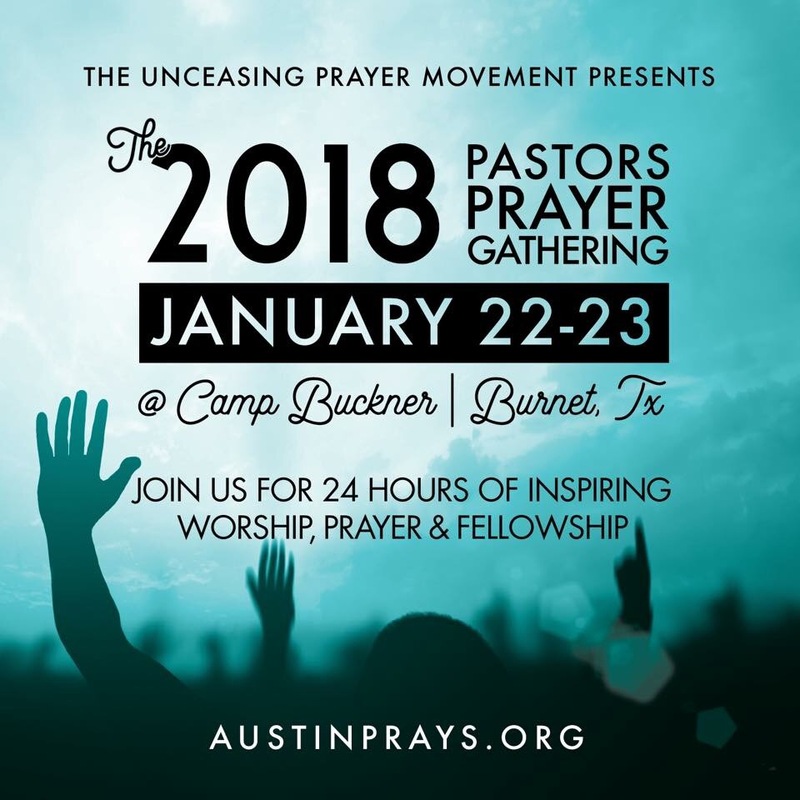 A growing number of pastors leading their churches in 24 hours per month of unceasing prayer! 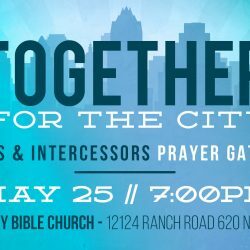 How easy it would be to see our city covered in unceasing prayer if every church adopted one day of prayer each month? 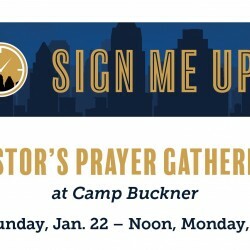 The senior pastor must sign up the church and choose one day a month to cover in prayer for one year. 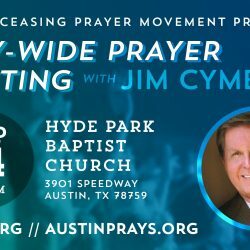 The church will raise up prayer warriors to cover their 24 hours of prayer each month. Our church had adopted 24 hours of prayer leading up to Easter. In February, my wife and I were kicking off the day of prayer by prayer walking through our neighborhood. 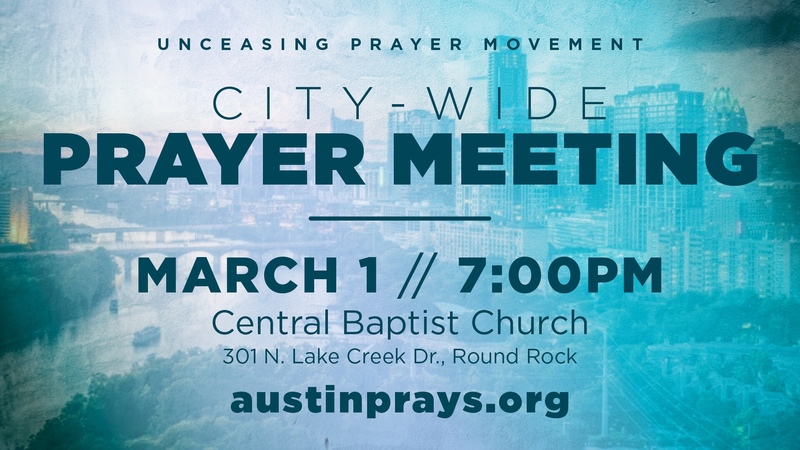 Unexpectedly God dropped the idea in my heart—How easy it would be to see our city covered in unceasing prayer if every church adopted one day of prayer each month? That moment not only started this pursuit, but started a transformation within my heart related to prayer, passion for God and a growing desire to see our city transformed! 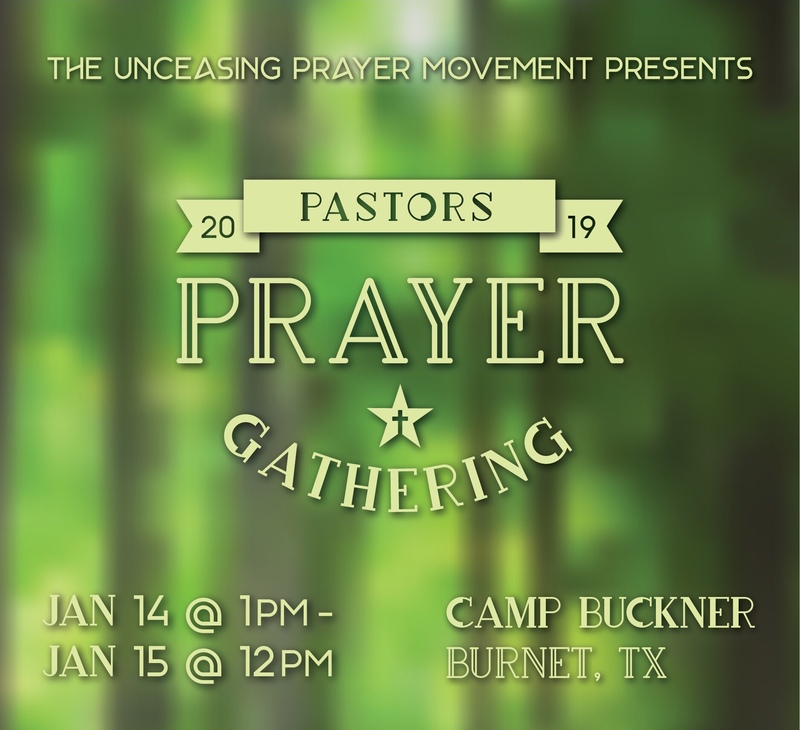 Probably nothing has helped me focus more on the lost, the desire of God’s heart, than the Unceasing Prayer movement. I’m fairly comfort-oriented at heart, so Unceasing Prayer probably contributed to my investment in the relief effort in Bastrop, Sixth Street prayer, working with expatriate Christian workers in Turkey, and more recently to the homeless with H.O.P.E. If there were no Unceasing Prayer, the things I mentioned would begin to dry up and return to church business as usual…fellowship would become movies and bowling, with an occasional Bible study. At first I was a bit apprehensive about signing up for one hour out of the 24 hours of prayer, simply because I didn’t know what we would pray for, for an hour. The funny thing is that every time we go we run over one hour. It really is amazing to see the Holy Spirit work through the people in the room as we pray. Usually, I like to pray with direction such as focusing on unity or revival, but am constantly amazed at the directions God takes us in our prayer. Looking back on it, I now say it’s ONLY an hour. 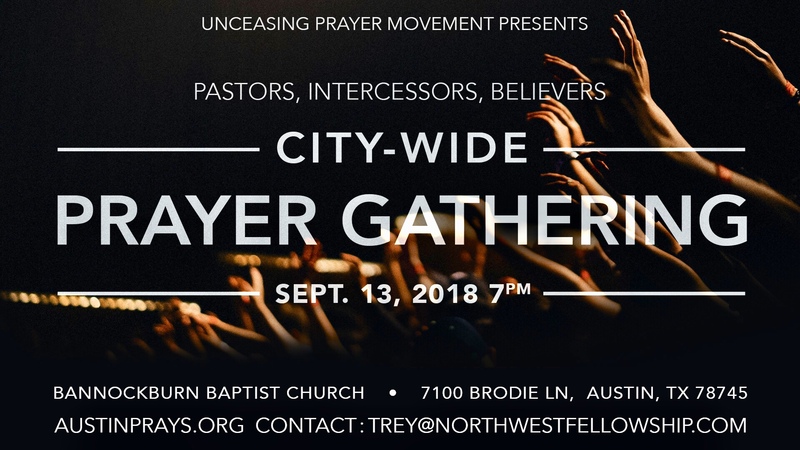 For the Unceasing Prayer Movement we reached out to another area church — one of a different ethnicity — to share a monthly day of prayer with us. 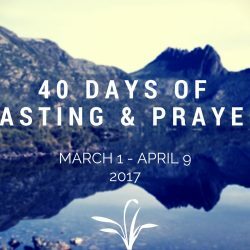 Together we have 100 people committed to pray during that day each month. In addition, we have had two special times of worship and prayer between our two congregations and it has been a tremendous blessing. The Lord has brought us much closer together through prayer.